New Hardcover Coffee Table Book Edition! This book is the essential history book for anyone who has ever been to Ocean Isle Beach and loved it. It’s the history of the Town of Ocean Isle told by the people who lived it. This hardcover edition is perfect for your coffee table complete with vintage photographs showing the beach as it evolved from a mom and pop beach town to the thriving place it is now. 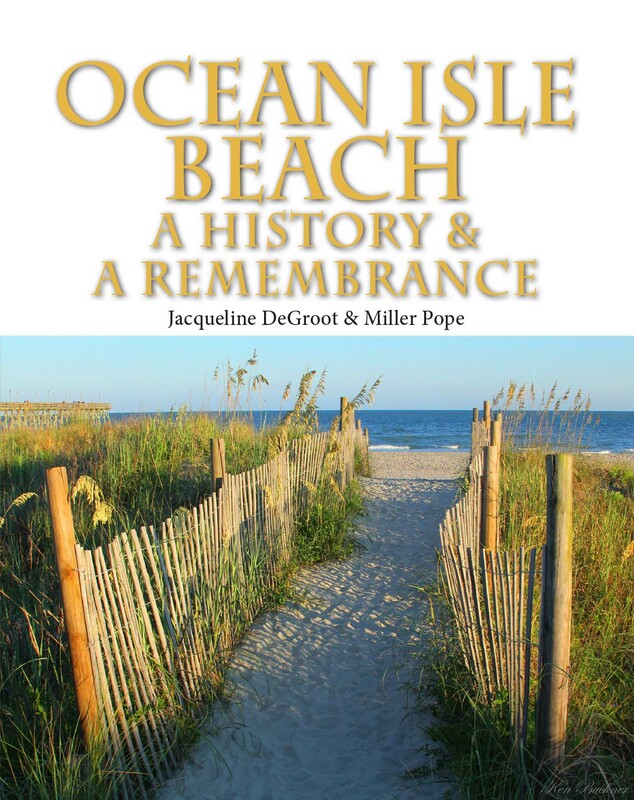 The book tells the stories of how the town of Ocean Isle came to be and the people who made it extraordinary. This book is about an eight-mile barrier island on the Atlantic coast. It faces due south, on the same latitude as Los Angeles, California, and Damascus, Syria. The island enjoys a mild climate and its oceanfront consists entirely of sandy beach. It wasn’t an island until 1934 when it was severed from the mainland by the construction of a section of the Intracoastal Waterway. What is now Ocean Isle, slept in solitude for hundreds of years, disturbed only by a visit in 1791 of George Washington on his Southern Tour and by the U. S. Coast Guard’s mounted sailors who patrolled the island’s beach in WWll. In the 1920s, the long repose ended with an awakening by prohibition and the jazz age. Young flappers expended energy dancing the Charleston and imbibing bootlegged gin in Ocean Isle’s first commercial structure, a honky-tonk on the island’s welcoming beach. 6885 Beach Dr. SW, Ocean Isle Beach, NC.